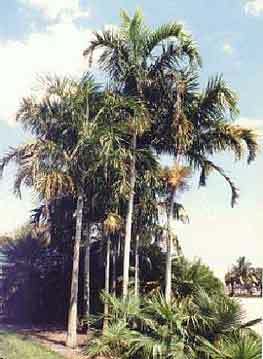 Description: Tall solitary pinnate palm with green crown-shaft and re-curved dark green leaves. Known around N.T. as “carpies” and is the most widely used palm there. Cultivated specimens are more robust than wild palms. Likes plenty of water and fertilizer.